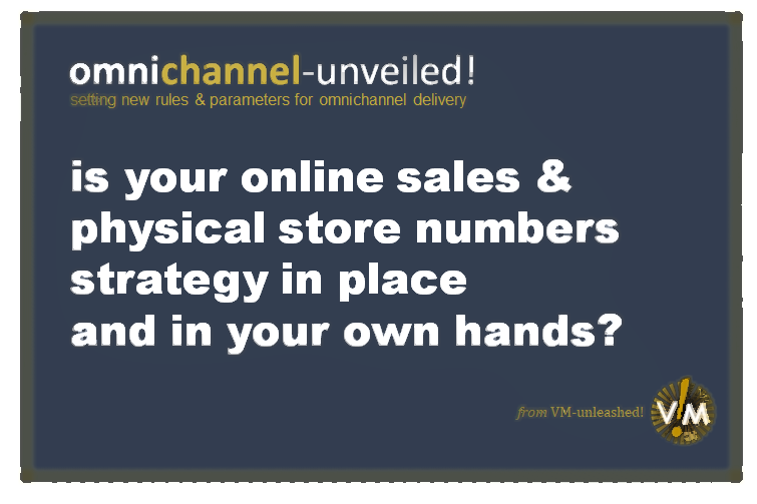 Online & offline, the biggest challenge for historic retailers is to remain relevant and attractive to their customers. That will ultimately dictate the online sales potential and physical store numbers that will be viable for a business. Do you remember the days when the e-commerce part of a bricks ‘n’ mortar business was compared to the largest physical store? That was a realistic ambition. It also considered e-commerce as a nice bonus to have on top of the physical store sales. There was no threat to the existing business just an additional opportunity. That seems like ancient history now. In retail terms it is. The recent news around Marks & Spencer highlights several issues specific to the business, but also the question of omnichannel strategy, targets & balance within any business. Online & offline are symbiotic offering opportunities & threats to each other…within the same business. Take a look at the UKs top 3 clothing retailers and you see there is no easy or slide rule answer. M&S, number one for now, is following a strategy of 33% sales being online in the next 5 years. Next, with a strong heritage in mail order and online is now at the tipping point of 50% sales online (already generates more profit) and realistically could be regarded as a digital retailer. Clearly the key is to have a strategy and not to be passive and responsive. M&S is set to close 100 stores, but at least this is a proactive strategic decision initiated by Archie Norman, one of the most respected figures in UK retailing. It is an initial cost but with a plan behind it. It’s worth comparing this with other retailers hacking at store portfolios in a reactive way in order to simply stay operational. Death by a thousand cuts? The other, and often forgotten, issue which M&S highlights is that closing stores is only part of the solution. Firstly, remaining stores need to perform with higher productivity. Secondly the e-commerce and mobile experience needs to be best practice to ensure that as many of the store sales you lose are transferred to your online business and not to competitors. Thirdly, and most importantly, your product offer and brand proposition need to be worth it. Online & offline, the biggest challenge for historic retailers is to remain relevant and attractive to their customers. That will ultimately dictate how many stores will be viable for a business. Need some location strategy benchmarking and analysis? Struggling to develop a best practice online experience? Time to re-appraise your assortment proposition?